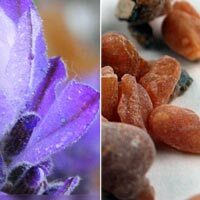 Lavender Frankincense – Essex County Naturals. An extra gentle, deep cleansing and purifying mask treatment featuring Bulgarian Lavender and Somalian Frankincense essential oils that absorbs excess oil and impurities, soothes inflammation and reduces the appearance of blemishes. Leaves your skin bright, refreshed and more youthful looking.